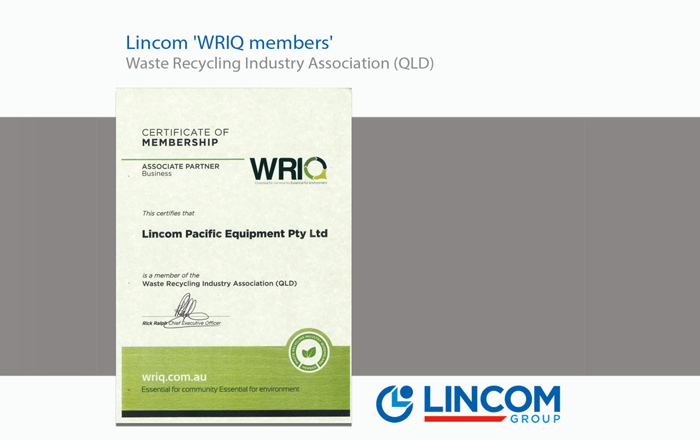 WRIQ is an association for the support its members working towards better services and environmental outcomes for customers and the general public in waste management. WRIQ informs and guide members on issues that may be impacting their organisation and operations. With dynamic waste and recycling changes to international markets, state legislation, new technology and local council initiatives, WRIQ are seeking to stay abreast of changes. WRIQ’s objective is to ensure that members seeking guidance are on the right path. We look forward to WRIQ connecting us with more people in our network of waste professionals, discussing issues of interest, and aiding us with sources of topical required information. We are proud to have received our membership certificate to the WRIQ.